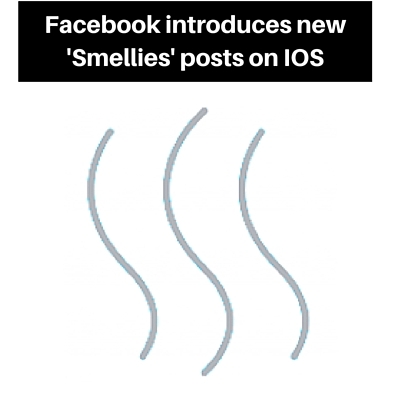 Facebook has announced a new type of post available to IOS users from today, 01 April 2016, which enables them to send smells to their friends through the world’s largest social network. The new format of post is designed to bring an extra level of emotion and depth to posts and will automatically produce a smell to users as they scroll through their feed. “We have been working on Smellies for a while now and are thrilled that they’re finally ready for users to try out.” explained Facebook founder and CEO Mark Zuckerberg at the unveiling of the new feature in San Diego ahead of Social Media Marketing World later this month. The new Smellies can be accessed via the normal Facebook post – simply click the ‘Smell’ icon and select your smell from those available. 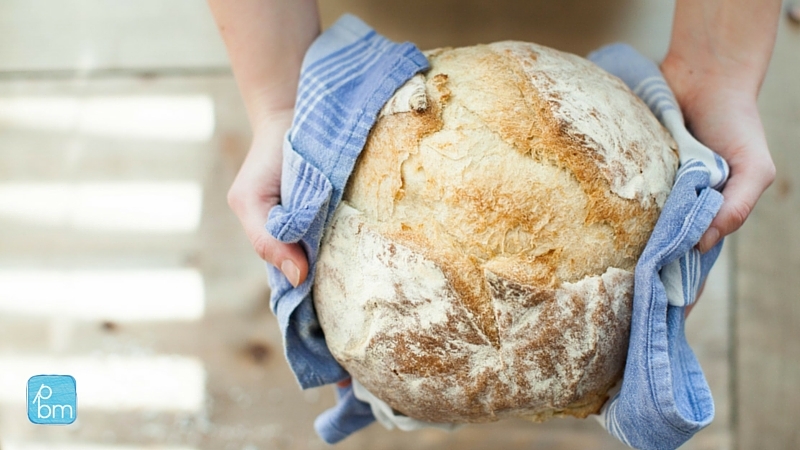 Earlier beta testing has shown bread and coffee to be the most popular among users – as the functionality develops, Facebook bosses hope gives users the ability to upload their own smells. The feature is currently available to IOS users on mobile but will become available to Android users later in 2016. It will be fascinating to see how users react to this new feature and whether it will become available to business pages, of which there are over 50 million. I can see real potential for businesses to evoke memories and emotions in their fans through use of Smellies in the future, but until they’re more widely available, your guess is as good as mine. Will you be sending Smellies to your Facebook friends? What do you think of this new feature? Share in the comments below – and if we’re friends on Facebook, send me a Smelly to say hi. 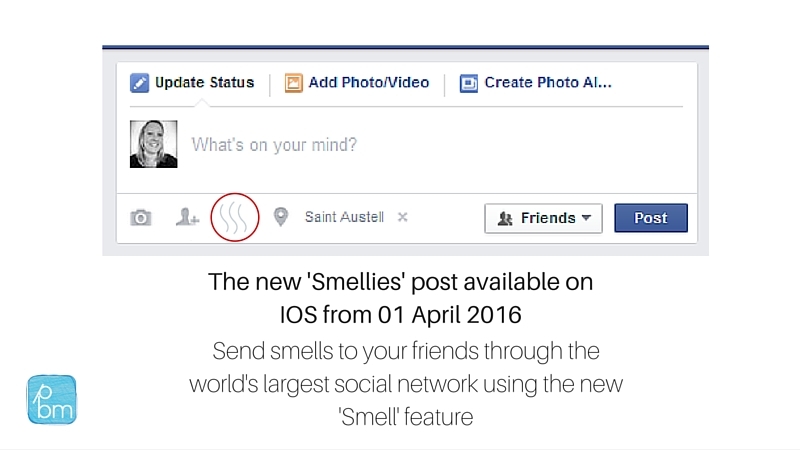 NB If you’d prefer to switch off smells from your Facebook feed, simply change your settings from ‘Autosmell’ and you will only be subjected to friends’ smells if you click on their post in your feed. Otherwise, your newsfeed will shortly become a bouquet of scents.